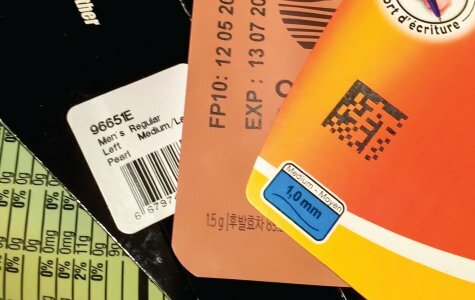 In addition to the broadest offering of in-line TTOs, FlexPackPRO offers the versatility and superior print quality of Thermal Transfer Overprinting in a number of cost-effective, off-line variable printing and coding systems as well. Our international development team is continuously innovating on behalf of the industry, and we’ve created several stand-alone TTO printing systems to meet a variety of needs and budgets. Print pouches, sleeves, cards, envelopes, bags and flexible packaging film on-demand and offline with one of FlexPackPRO’s cost-effective stand-alone solutions. Get the benefits of high-resolution digital on-demand printing and coding in a compact TableTop TTO system from FlexPackPRO. Print variable text, codes and graphics directly onto bags, pouches, cards, tags, chipboard boxes and more. Print perfect codes, text and graphics on an extensive range of papers, films and foils with this rugged, user-friendly, surprisingly affordable integrated system. Compatible with a broad variety of sheets, bags, sleeves, pouches, cards and boxes. Available in 53mm and 107mm print widths, the FlexPackPRO Traversing TTO provides superior, cost-effective, multi-lane printing and coding. Easily integrates into most makes and models of multi-lane packaging machines for printing date codes, barcodes, ingredients, logos and other variable information directly onto packaging film. DISCUSS YOUR UNIQUE APPLICATION WITH A FLEXPACKPRO SOLUTIONS SPECIALIST TODAY.